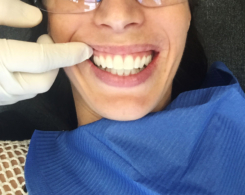 | From the moment you step into Optismile you feel, no you know, you are in great hands! The staff are welcoming and friendly and the space is one you actually want to be in. 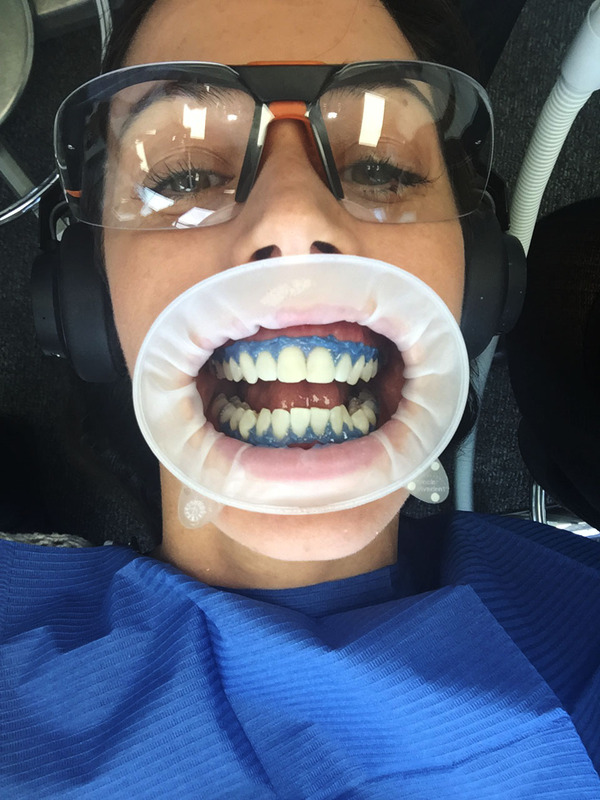 Teeth whitening is something I’ve always wanted to try. With the green tea I’ve been drinking daily over the years, I have clearly noticed my “pearlies” are not so pearly anymore – and let’s be frank, a bright and warm smile helps boost our confidence in a massive way. Dr Clifford Yudelman showed me around what is the most technologically advanced dentistry spot I have ever seen. Everything is on point, with the design of the space to the cool and slick looking equipment, and not to mention the ridiculous ocean panorama.  When seated in your chair, you face the beautiful Cape Town Atlantic Seaboard, a really calming view. 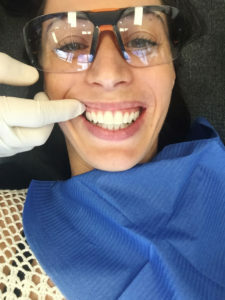 Dr Clifford Yudelman ran me through the entire process, showed me what my teeth looked like after some x-rays were taken and explained exactly what we would be doing to brighten my smile. 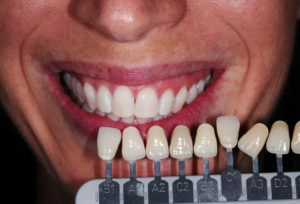 Teeth-whitening helps remove stains and discolorations and lightens your teeth. Many people think that it’s a once-off kind of thing, but it’s not. The whitening process has to be repeated from time to time, just like you would go to the beauty bar for your mani’s and pedi’s or to the hairdresser for that snip. Having teeth-whitening done with a professional and high-quality products means you’ll have longer lasting results. 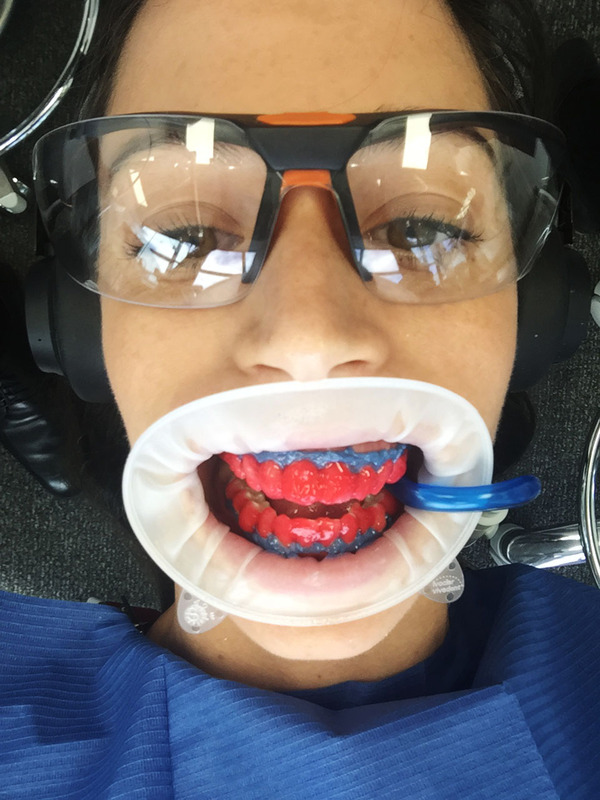 As we were getting started Dr Yudelman asked me to please let him know if I experienced any discomfort throughout. The most unusual sensation I felt was with the polishing of my teeth during the prepping part of the whitening. I didn’t feel any sensitivity or any pain during the whole procedure, which as you can imagine was appreciated! I’ve heard of so many people feeling extreme sensitivity to the point that it’s almost unbearable. This is where good product and efficient hands come into play. Would you want to put yourself in a vulnerable position with product that could do more harm than good, or a professional that that wasn’t phased at all about how much sensitivity you have going on? No thanks! I thought to myself, Optismile is the best decision, there’s just no doubt. Natural+ was the whitening product used at Optismile. It’s a 100% environment friendly, and a safe all-natural solution that consists of the latest technology. It contains added dead sea minerals, and calcium and fluoride. The whitening process takes about an hour in total. First your teeth are cleaned to remove surface stains and plaque. 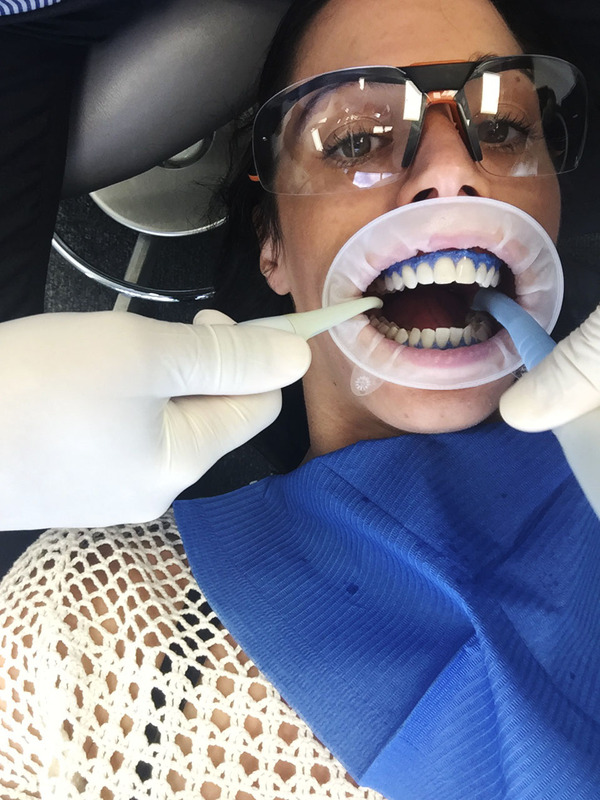 Then a protective gel is applied to stop the whitening agent from bleaching your gums or causing discomfort. Once the whitening agent is applied a top of the range light, which is not hot and does not cause any harmful uv rays is used to ensure product is fully activated and working everywhere, not missing one single spot of new whiteness. The whitening gel is left on for about 30 minutes. Dr Yudelman asked for my music choice, loaded it and handed me headphones – those 30 minutes were over in no time! The results were fantastic, I was off the chart! My teeth had gone a shade lighter than the actual references and obviously I couldn’t help but flash the biggest smile all day long! www.optismile.co.za or email info@optismile.co.za .